1. Sharad Aggarwal, 1997 batch AGMUT cadre IPS and DIG in CBI, has been appointed as joint director in CBI from the date of assumption of charge of the post, for a tenure upto May 31, 2021 or until further orders. 2. Gajendra Kumar Goswami, 1997 batch UP cadre IPS and DIG in CBI, has been appointed as joint director in CBI for a tenure upto July 26, 2020. 3. 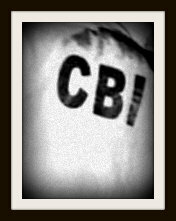 V Murugesan, 1997 batch Uttarakhand cadre IPS and DIG in CBI, has been appointed as joint director in CBI till such time CBI counsel places the matter before the Supreme Court and obtains its orders for relieving him early, against an existing vacancy. 4. The government has approved the induction of Praveen Sinha, 1988 batch Gujarat cadre IPS and additional secretary (JS level) in Central Vigilance Commission (CVC), as the joint director in CBI upto September 20, 2022. 5. The government has approved induction of Ajay Bhatnagar, 1989 batch Jharkhand cadre IPS and IG in CRPF, as joint director CBI up to August 31, 2022. 6. The government has approved induction of Pankaj Kumar Srivastava, 1992 batch Madhya Pradesh cadre IPS, presently in the cadre, as joint director in CBI for a tenure of five years or until further orders. Meanwhile, the Appointments Committee of the Cabinet (ACC) has approved the proposal of the department of commerce for the entrustment of additional charge of the post of deputy chairman, Tea Board to Shyamal Misra, 1996 batch Haryana cadre IAS and joint secretary in the department of commerce for a period of six months, retrospectively, with effect from August 11, 2017.